Mohammed Akram Nadwi is an unlikely champion for a Muslim gender-quake. Soft-spo-ken and shy, he is a graduate of madrassas in his native India, and an unabashed religious conservative. But the current work of this Oxford-based alim, or religious scholar, could shatter the stock notions of Muslim women’s roles, both in society and Islamic scholarship. Hunting through classical texts, Akram, 43, a researcher at the Oxford Centre for Islamic Studies, has uncovered a tradition of female Muslim scholars dating back to the 7th century. Muslim women’s religious scholarship is seen as sort of a cottage industry: if women study, it is pretty much in the purdah of their own homes or in segregated rooms in mosques or madrassas. If they teach, they usually teach only women. But trawling through centuries of biographical dictionaries, madrassa chronicles, letters and travel books, Akram has found evidence of thousands of muhaddithat, or female experts in Hadith, the deeds and sayings of the Prophet Muhammad. He has found accounts of women teaching men and women in mosques and madrassas, touring Arabia and the Levant on lecture circuits, issuing fatwas, and making Islamic law. Who knew that in the 15th century, Fatimayah al-Bataihiyyah taught Hadith in the Prophet’s mosque in Medina, and that the chief male scholars of the day, from as far afield as Fez, were her students? (Such was al-Bataihiyyah’s status that she taught at the grave of the Prophet, the mosque’s most prestigious spot.) Who knew that hundreds of girls in medieval Mauritania could recite al-Mudawwana, a key book of Islamic law, by heart? Or that Fatimah bint Muhammad bin Ahmad al-Samarqandi, a jurist in medieval Samarkand, used to issue fatwas and advised her far more famous husband on how to issue his? Presumably not the Taleban, who banned women from education while in power, and even now threaten administrators at Afghan girls’ schools. Nor, one imagines, Saudi Arabia, which bans women from driving or travelling freely. A few Islamic historiographers have known about a few women Hadith experts. A century ago Ignaz Goldziher, the Hungarian orientalist, estimated that about 15 per cent of medieval Muslim scholars were women. 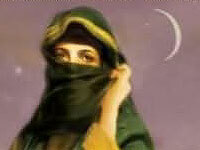 And Muslims widely acknowledge there have long been learned women, starting with Aisha, the Prophet’s favourite wife. It is less well-known that she narrated about a quarter of the laws forming the basis of Sharia, and was the preferred interpreter of Sharia by the founders of three of the four schools of Islamic law. Since Islamic knowledge is based on oral transmission through chains of scholars linking back to Muhammad, narrators’ reliability is crucial. Weighing Hadiths’ authenticity is itself a branch of Islamic science. Few muhaddithat have been accused of fabrication or inaccuracy, notes Akram. As women didn’t work, they had no reason to invent or embellish prophetic traditions. “Hadith wasn’t a source of income for them, and they didn’t do it because they wanted to become famous,” he observes. Purdah kept their accounts pure. When Akram lectures at mosques and madrassas around Britain, his research has met with cautious interest. Women are far keener on his research than men, he wryly notes. His audience is a conservative crowd, wary of teachings that unpick social mores. “People think my work will change the structure of society,” he says. Critics have accused him of championing free mixing between men and women. He is not, and believes that many segregations should be preserved. “I’m not issuing a fatwa that men and women need to study together,” he says. “But Muslim women scholars are part of our history. And by looking at that history, we can bring Muslim society closer to what it once was."